Cllr Angela Claydon, Cabinet Member for Housing, said: “The homes at Sutton Way already meet the decent homes standard but we’re aware that the design of the blocks encourages anti-social behaviour and fly tipping. 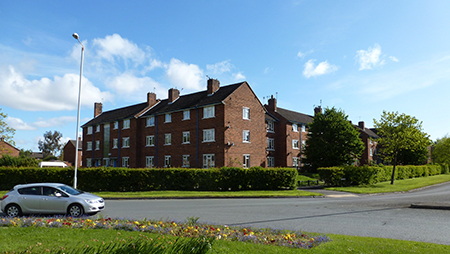 Since ForHousing took over the management of the Council’s housing stock, extensive work has been undertaken at Sutton Way and other sites to improve them. Sutton Way has 10 blocks of flats, the majority of which are Council owned. A multi-agency team was set up and architects appointed to design options to address residents’ issues and concerns. The community interest company We Make Places was appointed to engage with residents and discuss the options, design features and ensure the final proposals met residents’ needs. In addition to the physical changes planned, the project also aims to improve health and wellbeing and rejuvenate the sense of community at Sutton Way. Residents have suggested ideas to enhance the area such as exercise areas, community vegetable plots, community play spaces, seating areas, and community sewing and growing groups. The project will help realise some of these suggestions by incorporating resident feedback into design development and will work with partner agencies to support residents to set up groups. Sharon Wallace, Strategic Housing Lead at ForHousing, said: “This significant investment in the regeneration of Sutton Way wil l make a real difference to the local area. The programme will be delivered over a three year period, the detail of which will be drawn up following consultation with tenants.